All I can say is that the absence of posts on this site is testimony to the rapidity of this year’s growing season. We had a very warm spring with dry weather – watering, watering, watering. Thankfully, we now have our own water source on the platform and a super long hose. We’ve tried very hard to keep to our own harvested rain water, but the water butts ran out in May this year, and rain fall has been unpredictable. And carrying full watering cans to all our garden spaces is a real challenge with quite a few back injuries in the group. The hose has been a blessing. This entry was posted in Communications, Community and tagged London Road Station on 29/08/2017 by srraadmin. A developer who wants to squeeze four homes onto old railway allotments has been told that he must still move slow worms thought to live on the site – and warned he could be breaking the law by clearing it. Brighton Housing Developments, owned by Swiss-based John and Nicola Panteli-Blackburn, bought the site to the rear of the Open House pub in Springfield Road late last year. It came with planning permission for a terrace of four houses – but that runs out today (14 March), with the developer stuck between not being able to start official development because of the slow worms, and the planning permission expiring unless he does. Just before Christmas, the developer applied to get a condition to relocate the reptiles removed on the basis that a wildlife survey had found no slow worms. This year, the site has been aggressively cleared, and the developer’s agents say this has been done on the assumption that no reptiles are living there. But the county ecologist pointed out that the survey had been done at the wrong time of year when slow worms would have been hard to spot and may even be hibernating. And the council has now rejected the attempt to clear the condition and says the relocation exercise must still take place – and warns that clearance of the site could be a criminal offence. This entry was posted in Community, Planning and tagged Environment, London Road Station on 15/03/2017 by srraadmin. A very comprehensive summary of the current situation can be found here. Many thanks to the Round Hill Society for the research and background. This entry was posted in Communications, Planning and tagged Environment, London Road Station, Open Spaces, Round Hill Society on 04/02/2017 by srraadmin. The disused allotments between the railway line and the Open House and several adjoining houses are in process of being cleared of trees preparatory to the building of four houses, the wall separating the land from the station bridge has also been partially demolished for access. 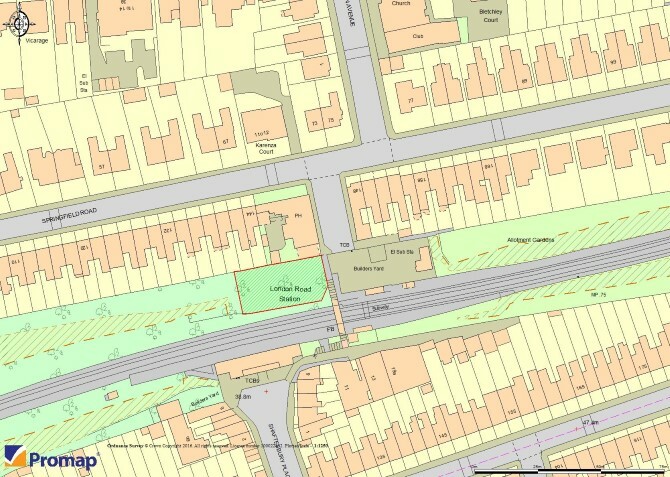 The land was recently sold at auction with planning permission, which had been renewed after lapsing. Our local councillors, Julie Cattell and Leo Littman, have been in touch with the council to investigate whether the pre-commencement conditions have been complied with. The site has legitimate planning permission and the breach of the wall is not a planning matter but an issue between the owner of the wall and the developer. Concerned residents can contact Julie Cattell, who has regular meetings with the head of planning and team leaders, at julie.cattell@brighton-hove.gov.uk. SRRA provides a forum where residents can come together to work collaboratively over local concerns. Our next meeting is on Saturday 21st January at 10 am at the One Church. This entry was posted in Community, Planning and tagged Julie Cattell, Leo Littman, London Road Station, Planning on 20/12/2016 by srraadmin. There’s been a lot of renewal work going on at London Rd Station during November, helped by the dry(ish) weather. The wet weather in the first part of the year really did for our raised beds. Already in May, we realised the corner posts of our central beds were rotting. The rot got progressively worse until we had to tie the old scaffolding planks together with leads and bang in a couple of temporary boards to retain the long shady bed against the wall. Given that these were our first raised beds, constructed from used scaffolding boards back in 2011, it’s not surprising they were collapsing. The key detail we discovered later when we constructed the fruit tree beds along the south facing wall: make sure you line the beds with pond liner or equivalent to keep the moisture from the wood. This entry was posted in Communications, Community and tagged London Road Station on 04/12/2016 by srraadmin. Autumn – don’t prune, paint! Autumn has arrived, lots of yellow and gold leaves on the trees and the station forecourt is littered with dried dead leaves. It’s been unusually dry. We had rain last Tuesday (of course, on our workday, but it led to comfy conversations in the conservatory on plans for 2017). This entry was posted in Communications, Community and tagged London Road Station on 31/10/2016 by srraadmin.